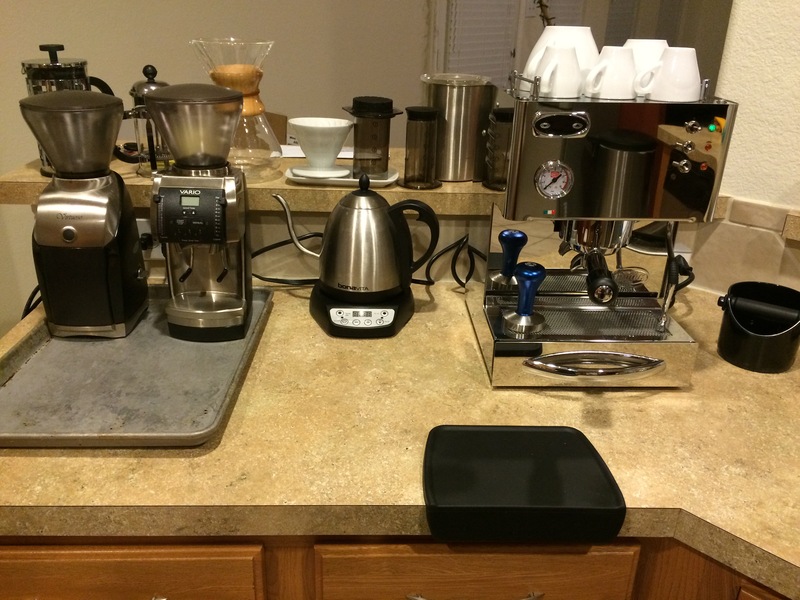 All the stats on my coffee gear, for the curious. Manual methods: Chemex, Hario V60 (ceramic), AeroPress, Bodum Eileen and Chambord french presses. I use bleached filters in the filtered methods. Brewing parameters: Generally 1:16 coffee:water ratio, brewed with water at 200 degrees F (except for AeroPress, which I usually brew at 185 degrees F). Water: For my espresso machine, I use bottled spring water which tests to 3 grams hardness. For my other preparations, I will generally use tap water filtered through my Brita pitcher. Bean storage: Airscape coffee canisters, or just the original bag that the beans come in. For long-term storage, I use Foodsaver bags to vacuum seal small portions (about a week’s worth) of coffee beans and freeze them. Hi, Margaret! I was just in Albuquerque this past December. I wish I had talked to you first about where to buy coffee! Quick question: are the expensive pour over coffee tools any better than the old fashioned, old school plastic Melitta funnels? Just curious. How are you? Hope you are well and having a great time with coffee, and, of course, music!